What is the situation with “smart drugs” use among UK university students? Many students go through huge amounts of stress at university trying to pull together essays in time for deadlines or cramming in some last-minute study before their examinations. Some students seem to thrive under this pressure but, for others, the stress can get too much. Yet there may be a solution. 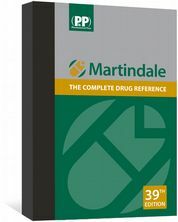 Cognitive enhancers, or “smart drugs”, are products available that claim to enhance the taker’s motivation and ability to learn. One preregistration trainee thought “a smart drug was a drug to help make you concentrateand stay alert. If you count ProPlus then I guess I used one too, but it didn’t really work out for me so I changed my revision technique.” She went on to say: “It would be unfair to use restricted medicines, like modafinil and Ritalin, to improve your cognitive function, unless you had a diagnosed problem.” For the students whom she knew had used prescription-only medicines, cost had not been an issue. “It was easy to see which students were studying hard naturally and which students were using an [enhancer],” she said. “I think it’s really damaging. The majority of students who take smart drugs look as if they put a lot of pressure on themselves towards the end of the year.” She thinks that taking something to help pass an exam is not justified because it does not reflect that person’s true ability. Before answering further questions, the students were given a brief definition of smart drugs and their cognitive-enhancing properties. After that, 24 per cent of students answered “yes” when asked if they knew if smart drugs or similar products were available, suggesting that students do know smart drugs are available but perhaps call them something different. Six per cent of students admitted to using a smart drug to help them study in the past and 46 per cent said they would consider using a smart drug. Over half of the students (62 per cent) answered “yes” when asked if they had ever used caffeine or caffeinated products to help them study and 53 per cent said cost would not impact heavily on their decision to use a smart drug. In an online version of the same survey (n=72), 10 per cent of respondents reported using a smart drug and 32.9 per cent of online respondents had heard of smart drugs. Of the online respondents (28 per cent male, 72 per cent female) 84 per cent were aged 16–25 years and 78.7 per cent identified themselves as a healthcare sciences student. Results showed 58.6 per cent would not consider using a smart drug as cheating. On discussing the use of smart drugs with some graduate medical students, one said: “I wouldn’t think twice about using a drug like that if I could afford it. It’s no worse than coffee or Red Bull.” Another medical student said he considered using a smart drug as cheating and did not think it was OK to use drugs to help you pass an exam. The Journal previously published an article on the ethics of using cognitive enhancers (PJ 2008;280:684). Although athletes are advised to check with the appropriate authority before they take any medicine that may improve their athletic ability, students are in a different position. Of the UK universities asked (n=9), none had guidance in place relating to the use of smart drugs or cognitive enhancers. One of the top-ranking universities in the UK said that “the university does not have a specific rule prohibiting the use of legal prescription drugs. However, it would strongly advise students against taking drugs that have not been specifically prescribed to them, as this is dangerous and can be illegal.” Another university legal department said it “would only take action where illegal substances are being used in the same way as the police would prosecute”. These drugs are available to just about anyone with access to the internet. Although modafinil and methylphenidate are prescription-only medicines (the latter being a Controlled Drug as well), the internet proffers them without any form of consultation or healthcare professional input. Free next-day delivery is usually available at no extra cost. Prices vary depending on the supplier. One online retailer offers 50 blister-packed modafinil 200mg tablets for £124.99, including free special delivery. The same retailer also gives the address of a Yorkshire-based pharmacy. However, a quick check on the General Pharmaceutical Council’s website disproves that the address is home to a registered pharmacy premises . 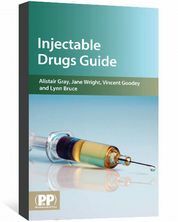 The Medicines and Healthcare products Regulatory Agency said: “We urge patients to obtain their prescription medicine through a registered pharmacy or a GPhC-approved website. Purchasing medicines from any other source, particularly from a website based overseas, is potentially a risk to health. There is no guarantee that medicines purchased online meet the set standards of quality and safety that are mandatory in the UK.” Members of the public are encouraged to report any concerns over the legitimacy of an online pharmacy to the MHRA. Smart drugs are only going to become more popular and, with time, popping a pill on your way to work or university may become the norm. The two most common drugs used as smart drugs are modafinil and methylphenidate. Modafinil is a prescription-only medicine with a licensed dose range from 200–400mg daily. Historically used to treat daytime sleepiness the drug has also been used to improve cognition in other conditions, including multiple sclerosis and hyperactivity disorders. However, in July 2010, the European Medicines Agency’s Committee for Medicinal Products for Human Use reported that the risks associated with modafinil were only outweighed by the benefits in patients with narcolepsy, resulting in all other indications being withdrawn from the drugs marketing authorisation.1 Modafinil has also been prescribed for shift-workers, members of the armed forces, pilots and nurses suffering with shift-worker sleep disorder. Methylphenidate is a schedule 2 Controlled Drug indicated as part of a comprehensive treatment programme for attention deficit-hyperactivity disorder (ADHD)6 but has also been used as a smart drug. What are university students’ views on the self-prescribing of “smart drugs”? 1 Lennard N. One in ten takes drugs to study. Available at: www.varsity.co.uk (accessed 31 December 2012). 2 Wesensten NJ, Reichardt RM, Balkin TJ. Ampakine (Cx717) effects on performance and alertness during simulated night shift work. Aviation, Space and Enviromental Medicine 2007;78:937–43. 3 Maher B. Poll results: Look who’s doping. Nature 2008;452:674–5. 4 Modafinil: the new wonder drug? 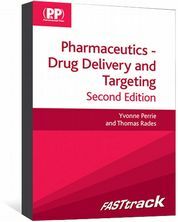 Available at: www.nouse.co.uk (accessed 31 December 2012). 5 Turner DC, Robbins TW, Clark L et al. Cognitive enhancing effects of modafinil in healthy volunteers. 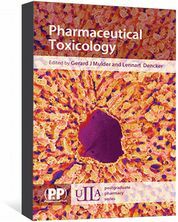 Psychopharmacology 2003;165:260–9. 6 Coull JT, Middleton HC, Robbine TW et al. Contrasting effects of clonidine and diazepam on tests of working memory and planning. Psychopharmacology 1995;120:311–21. 7 Elliot R, Sahakian BK, Matthews K et al. Effects of methylphenidate on spatial working memory and planning in healthy young adults. Psychopharmacology 1997:131:196–206. 8 Volkow ND, Ding YS, Fowler JS et al. Is methylphenidate like cocaine? Studies on their pharmacokinetics and distribution in the human brain. Archives of General Psychiatry 1995;52:456–63. 9 Volkow ND, Wang GJ, Fowler JS et al. Association of methylphenidate-induced craving with changes in right striato-orbitofrontal metabolism in cocaine abusers: implications in addiction. American Journal of Psychiatry 1999;156:19–26. 10 Morton WA, Stockton GG. Methylphenidate abuse and psychiatric side effects. Primary Care Companion to the Journal of Clinical Psychiatry 2000;2:159–64. 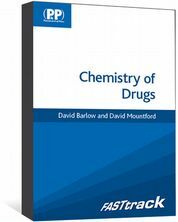 An accessible introduction to the key aspects of organic chemistry, elementary medicinal chemistry, and biochemistry.